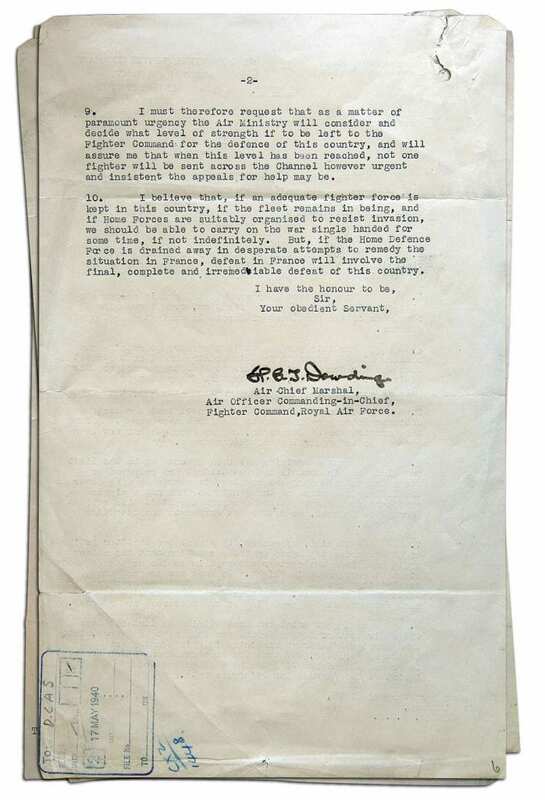 On 16 May 1940 Air Chief Marshal Lord Dowding, Air Officer Commanding-in-Chief of Fighter Command, wrote this famous letter to the Under Secretary of State at the Air Ministry requesting that a sufficient Home Defence fighter force be maintained in Britain and that until the minimum strength was reached not a single further fighter should be sent to France. Lord Dowding realised how controversial it was – he was effectively saying that the Allies were in great trouble with the fight in France and that if more squadrons were sent there they would just add to the wastage, and that the whole war could then be lost. He also realised that the letter would have to be passed to the highest level. Prime Minister Winston Churchill had flown across the Channel and sent a telegraph stating that more fighter squadrons be sent to France. 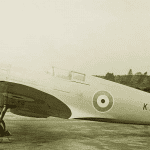 Three days later he cancelled that order and all but three of the Hurricane squadrons based overseas flew back to operate from home airfields. 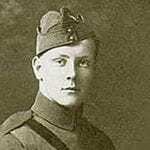 Lord Dowding remarked that their return had “converted a desperate situation into a serious situation”. 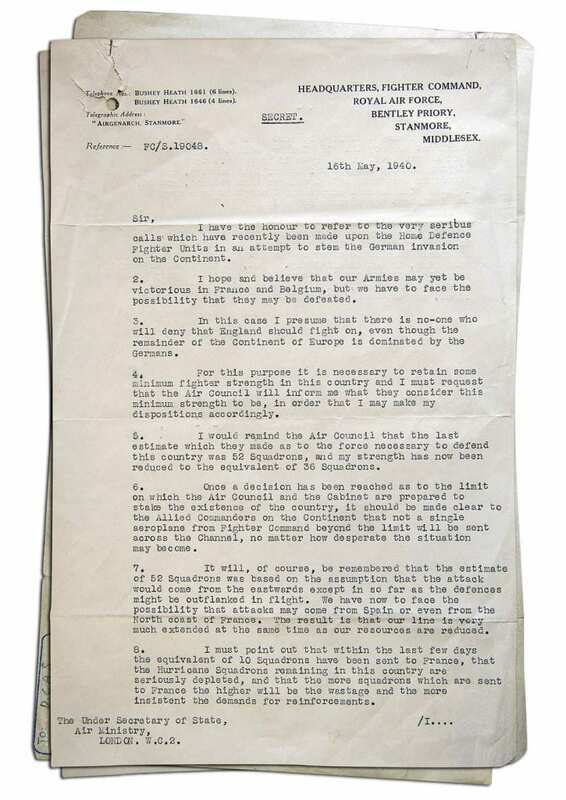 The letter and Lord Dowding’s subsequent insistence during Cabinet meetings that Britain built up a sufficient fighter force paved the way for the RAF to be in a position to achieve victory in the Battle of Britain. 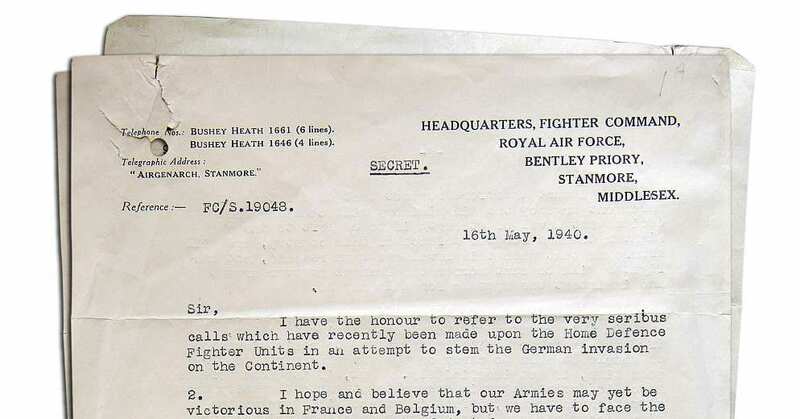 These pages show in full the exact and original letter, which is in the care of the RAF College Cranwell. It is reproduced here with kind permission.